It is Kozamami Beach or Old Zamami Beach that is seen from Takatsuki mountain of Zamami island. It has a variety of colorful tropical fish and corals, which you can enjoy by snorkeling. You can rent beach umbrellas or chairs. 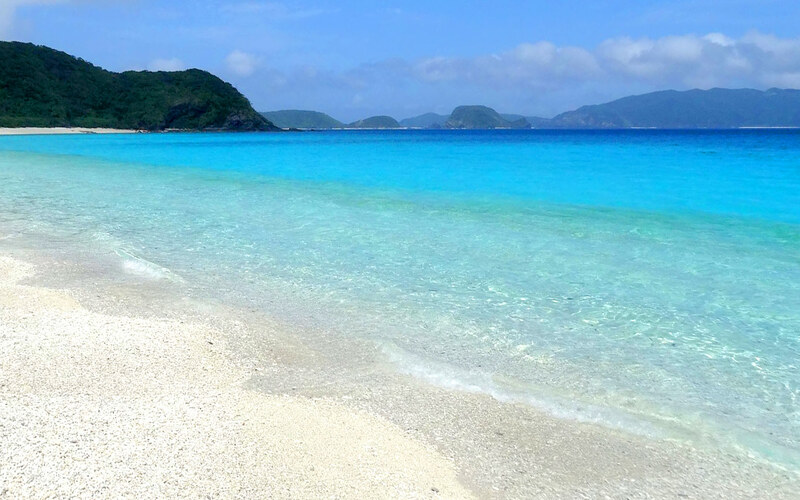 A lot of day trippers from Okinawa island visit this beach every year.